Telecoms group Vodafone and mobility company Continental have showcased the first results of their innovation partnership and demonstrated how new technologies can assist in preventing thousands of road accidents every year. The project also included Netrounds for real-time testing and active monitoring,. 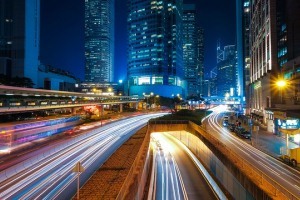 The Vodafone and Continental project uses Multi-access Edge Computing (MEC) to enable a new type of automotive application for road safety features in connected cars powered by Artificial Intelligence (AI). The application works when connected cars stream pre-processed sensor data over the mobile network to MEC cloud nodes for real-time analytics and instant decision-making processes. The application on edge cloud nodes applies AI algorithms to determine if an action is required. The end-to-end system is latency-sensitive and relies on insight into network conditions as provided by Netrounds. Netrounds programmable, active testing and monitoring solution reportedly allows service providers like Vodafone and large enterprise customers, like Continental, to automate assurance of the entire service lifecycle, from activation testing, to ongoing active monitoring and remote automated troubleshooting for when any issues arise. “Being a part of this important project with Vodafone and Continental shows that Netrounds can help identify just about any network problem, whether it be in multi-cloud environments, service chains, IoT and now automotive safety. We are able to automate both testing and active real-time monitoring needed to measure critical KPIs. This use case demands a stable and dependable network communication that is hyper sensitive to latency and other key metrics in order to meet their main goal of safer road conditions,” comments Mats Nordlund, CEO & co-founder, Netrounds. For more information about the project visit “Use of Multi-access Edge Computing to power artificial intelligence for automotive.” For a live demo of Netrounds technology, visit Netrounds at the MPLS Summit in Paris, April 9-12th or the Big 5G Event in Denver, Colorado, May 6-8th.